Update: The first season of Apex Legends is now live. 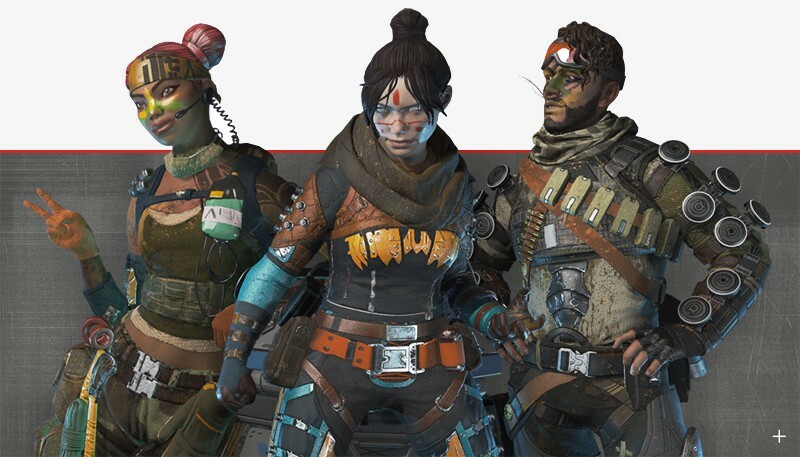 After racking up more than 50 million players, Respawn is all set to launch its first season of new content for its ultra-popular free-to-play battle royale, Apex Legends. The first season, dubbed Wild Frontier, will begin at 10:00 am PDT tomorrow, and will be accompanied by a battle pass. That battle pass will cost players 950 Apex Coins (about $10), and will unlock a new reward at every level the player reaches during the season. The first level, which anyone who buys the pass automatically qualifies for, unlocks the Legend skins seen above. There are 100 levels in total, which should keep players busy for the long haul – though you can also get a head start by purchasing an alternative battle pass bundle for 2,800 Apex Coins, which skips you through the first 25 levels. Respawn’s website notes that the battle pass is retroactive, so you can purchase it towards the end of the season and still receive all the unlocks you would have earned. Additionally, all players during the season – whether they purchase the battle pass or not – can earn another Legend skin, five Apex packs, and 18 stat trackers. For more on the battle pass, check out the link below.